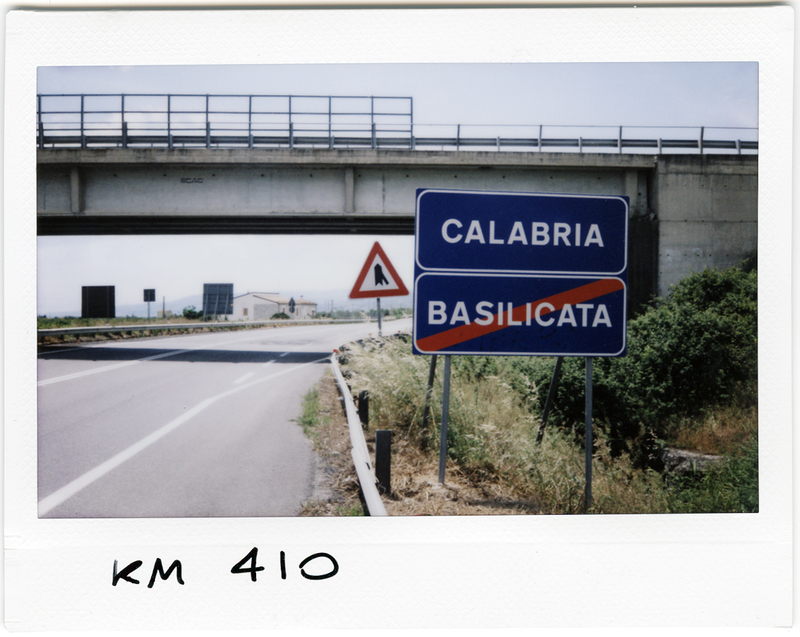 The “106 Statale Jonica” is a mixed media installation composed of a video and a series of polaroids, postcards, road signs, and objects collected along the Ionian coast, in the Southern regions of Puglia and Calabria, 491 kilometers along which the striking beauty of nature, with its Mediterranean colours and perfumes, shares the landscape with painful devastation perpetrated by Mafia and organized crime. 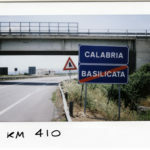 Illegal houses and surreal unfinished architectures, a sci-fi landscape inhabited by generations of people trying to lead a normal life. 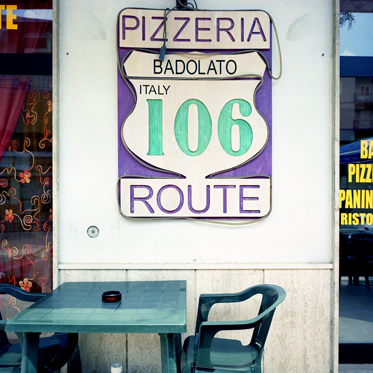 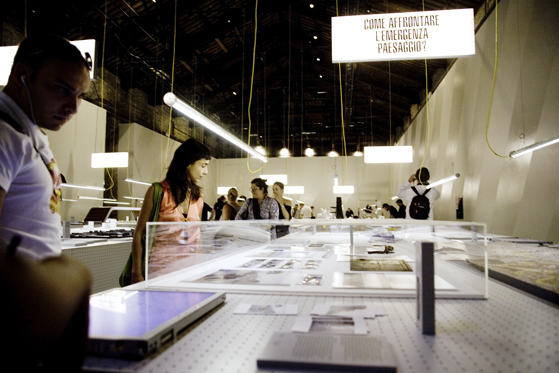 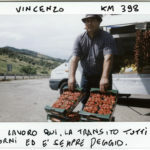 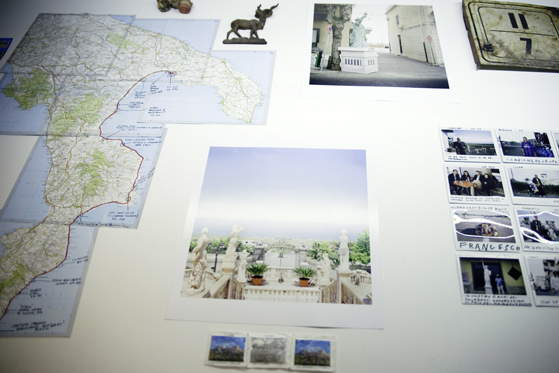 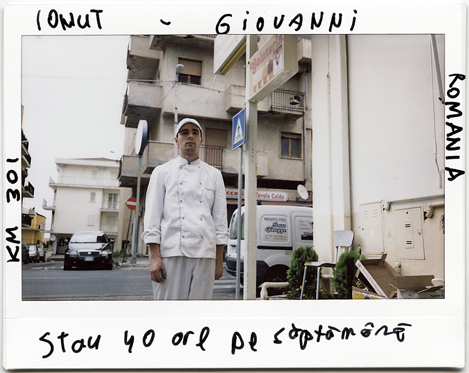 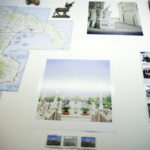 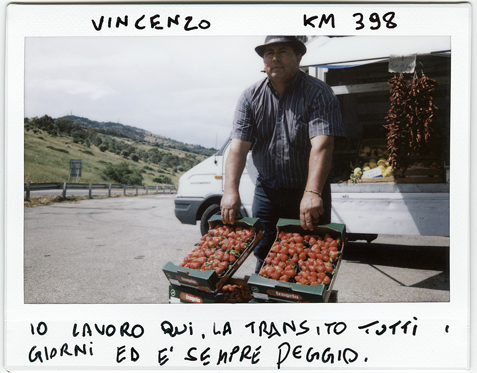 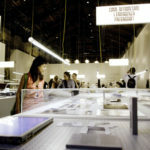 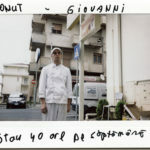 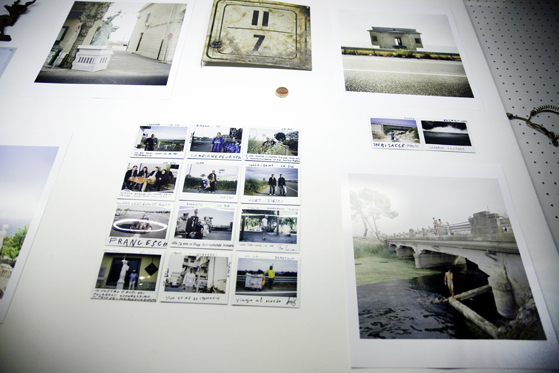 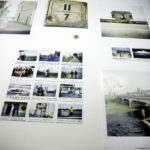 “106 Statale Jonica” is a critical postcard of their everyday.